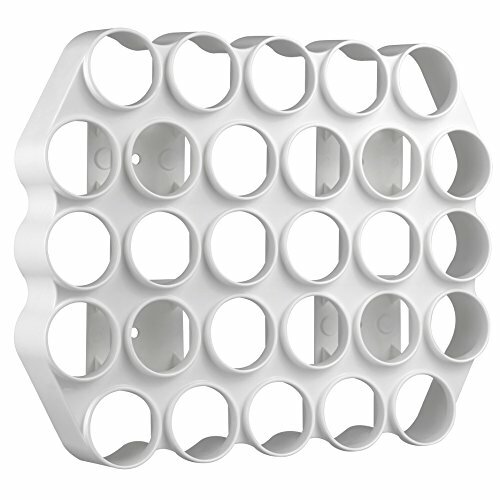 The cafe wall caddy stores your K-Cup coffee pods on the wall, right to your single serve coffee maker! This space saving storage caddy uses double sided tape for attachment so you can install quickly and easily, with no wall damage. The Caddy holds 28 single serve pods and features an open view for easy access to your favorite flavors. The Caddy will mount on most any smooth surface: cupboards, back splashes, sides of cupboards, pantry doors, fridge doors, RVs are just a few suggestions. Perfect solution for home or office. If you have any questions about this product by BeraTek Industries, contact us by completing and submitting the form below. If you are looking for a specif part number, please include it with your message.